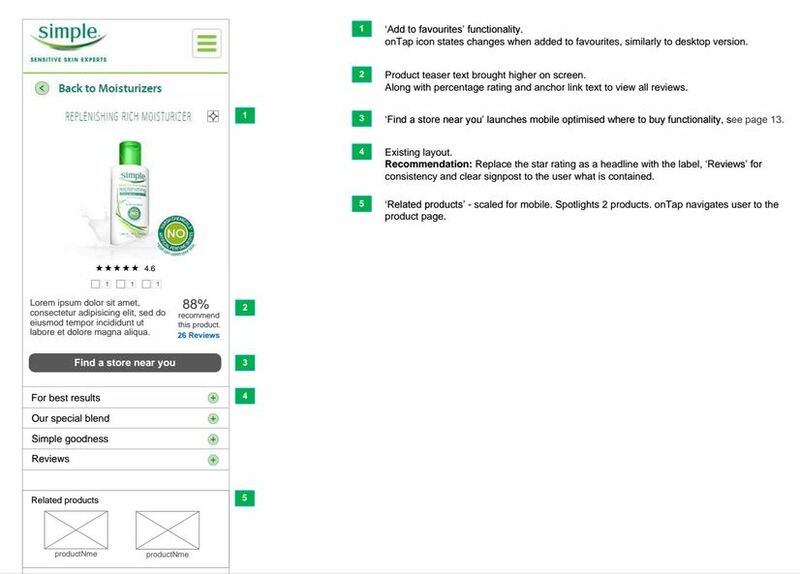 Simple UK wanted recommendations to optimise their product pages to make them more engaging and to curb the drop off rate. 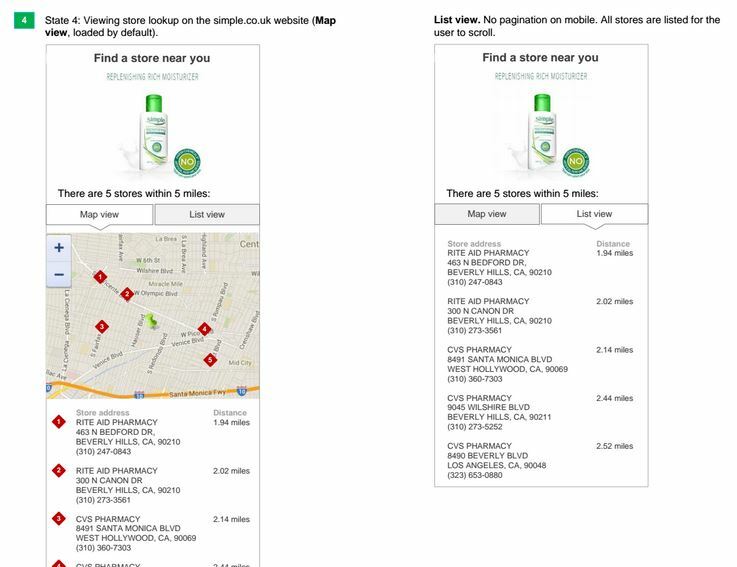 For the responsive pages, I reimagined the where to buy feature to include geolocation for finding nearest retail outlets. 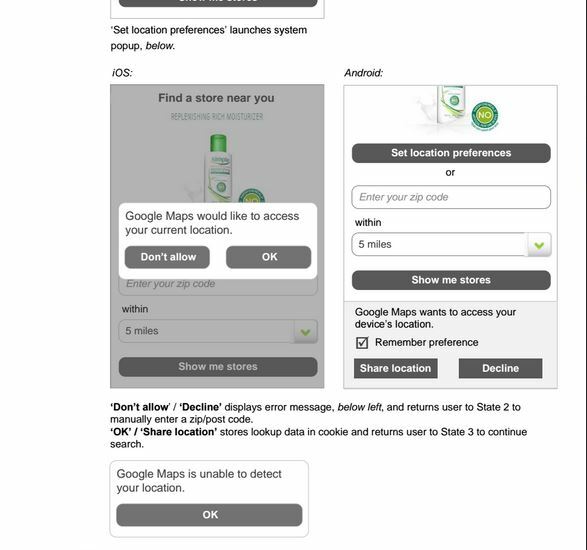 In a parallel project, I designed the ‘where to buy’ experience, mainly for mobile customers, for the US and UK Simple sites.